Fleet drivers opting for electric vehicles from LeasePlan can now get access to charge points at home, at work and on the road under a new “industry first” partnership with Chargemaster. 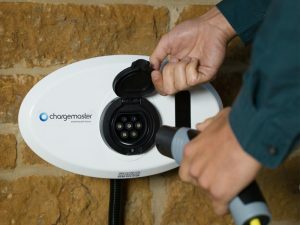 Intended to bring a “one-stop-shop solution” to help drivers make the shift, the tie-up between the two firms means that drivers choosing a new electric vehicle from LeasePlan will be able to select LeasePlan’s e-mobility solution with the option of a Home Charger Package (included in the monthly lease). This includes a wall-mounted 7.4kw charge point, warranty and support service for the duration of the lease, and network subscription to Chargemaster’s Polar public charging network, which provides access to more than 6,500 nationwide charging points, again for the lifetime of the leasing agreement. Fleets can also get support with deploying charge point facilities for EV drivers at work with the help of site surveys, installation of Chargemaster’s UK-made charge points and support, as well as system access for billing and reporting.